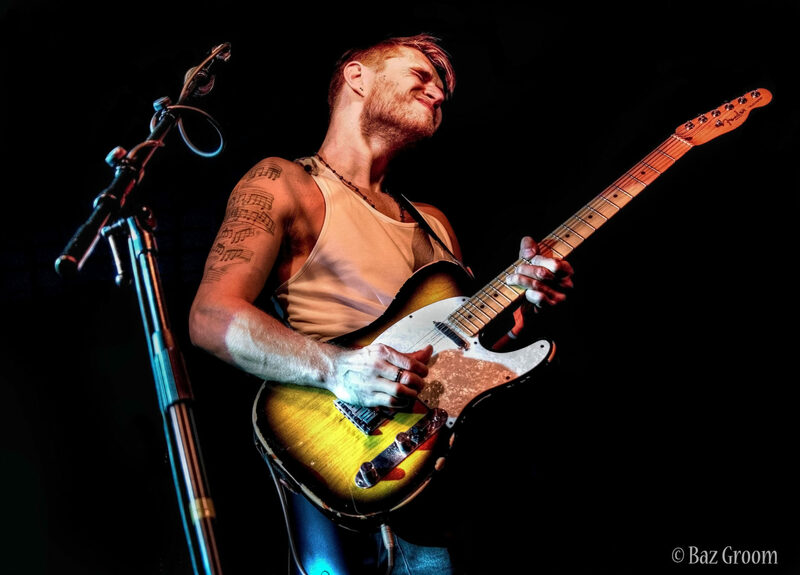 Ben Poole, Inspired by the Blues, infused with a hard hitting, “in-yer-face” rock approach and topped-off by virtuoso musicianship.Ben Poole is being talked of as “the” new up-and-coming UK Blues guitarist. One of the finest to have emerged in Europe for years. Having already played with, and received critical acclaim from some of his heroes; legendary blues artists including Jeff Beck, Gary Moore and John Mayall. At just 27 years of age it appears that there is no stopping this young and incredibly gifted musician. His latest recordings reinforce this and make it blatantly clear that Ben is destined for a great future on the European Blues/Rock scene. Ben is now back with a brand new studio album, out in February 2016. Stevie Nimmo. Singer-songwriter and Nimmo Brothers co-front man Stevie Nimmo with his brother Alan have for almost 20 years, been successfully touring all over the UK, Europe and America with five successful CDs to their name. Born and raised in Glasgow, Scotland there was always music around as Stevie grew up. Stevie never had any guitar or singing lessons but throughout the family there were plenty of people who sang or played some kind of instrument to learn from. After a diagnosis of cancer in 2009 and subsequent surgery resulting in the loss of his voice for over 2 months, Stevie, now living in France, was forced to ease back on his touring schedule with The Nimmo Brothers. He spent some months in recovery following this major operation. During this period, focusing on the style of music Stevie listens to ’off the park’, he wrote the songs that now make up The Wynds of Life. For Stevie song writing isn’t something that you plan, it’s something that you need to do. As Stevie says; “When you have that something inside you, that feeling be it happy or sad, you just have to let it out. It’s an extremely emotional process and my only way to do that is through song”. The Album was fleshed out with pedal steel, banjo, accordion, B3 and Wurlitzer, amongst other instruments. The Wynds of Life falls just as easily under the Americana banner with its roots, country and gospel influences as it does in Stevie’s more familiar blues setting.